Calling all recruits! 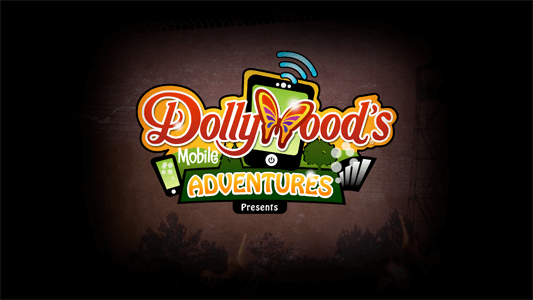 Get ready to experience the thrilling action of FireChaser Express, the nation’s first dual-launch family coaster at Dollywood. 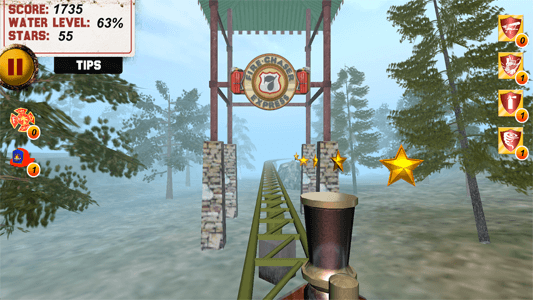 Blast forward and backward as you encounter various obstacles, including fallen trees, boulders and track breaks in this thrilling new game. 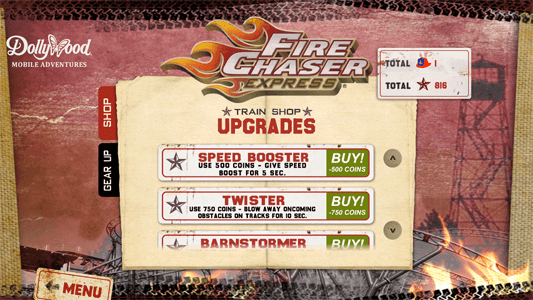 In FireChaser Express – The Game, players navigate through the beautiful 3-D landscape collecting power-ups and stars to earn points while racing to save the day from a five-alarm fire at Crazy Charlie’s Gas & Fireworks Emporium. 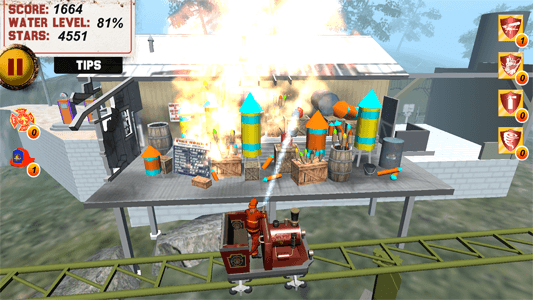 Good luck recruits! 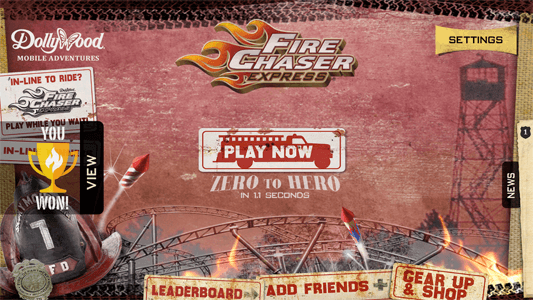 FireChaser Express—The Game follows 2013’s popular RiverRush—The Game, which marked the debut of Dollywood’s Mobile Adventures, an interactive hub which provides guests an opportunity to explore the incredible fun of Dollywood, Love Every Moment.